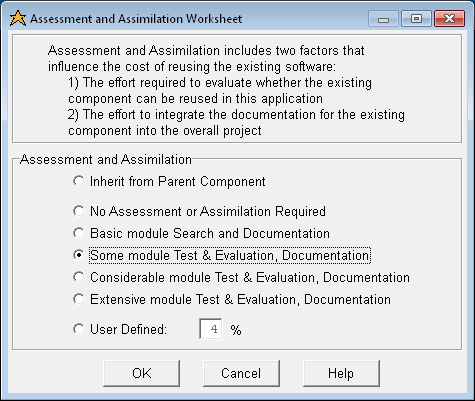 This image depicts the Assessment & Assimilation Worksheet. This worksheet is used to set one of the parameters for the COCOMO II reuse model. Your selection is copied to the Reuse tab, and used to calculate the equivalent source lines of code (SLOC) for the estimating equations.